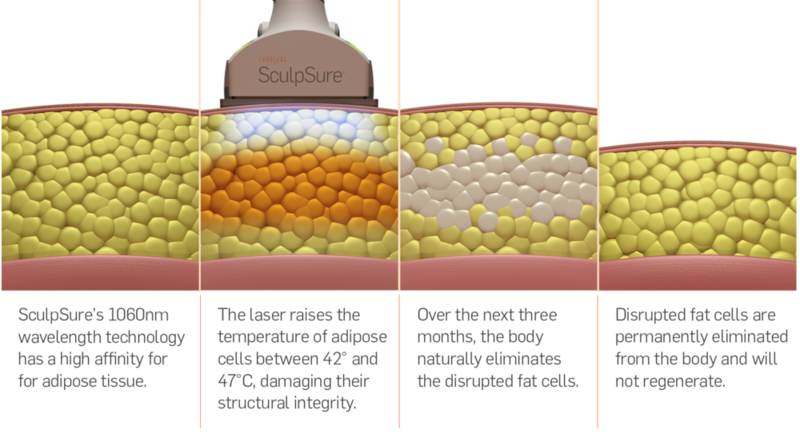 The 1060 nm wavelength’s specific affinity for adipose tissue, coupled with minimal absorption in the dermis, allows SMART LIpoLaser to efficiently treat areas of troublesome fat in just 25 minutes. Over time, the body naturally eliminates the disrupted fat cells with results seen as quickly as 6 weeks and optimal results usually seen in as few as 12 weeks. This new technology is optimized to disrupt and eliminate unwanted fat cells under the chin. Our applicator design is perfect for providing precise and effective treatments resulting in a slimmer appearance of the chin and neck. This treatment is the perfect complement to SMART’s LipoLaser other indications, making this an all-encompassing, non-invasive body contouring system.